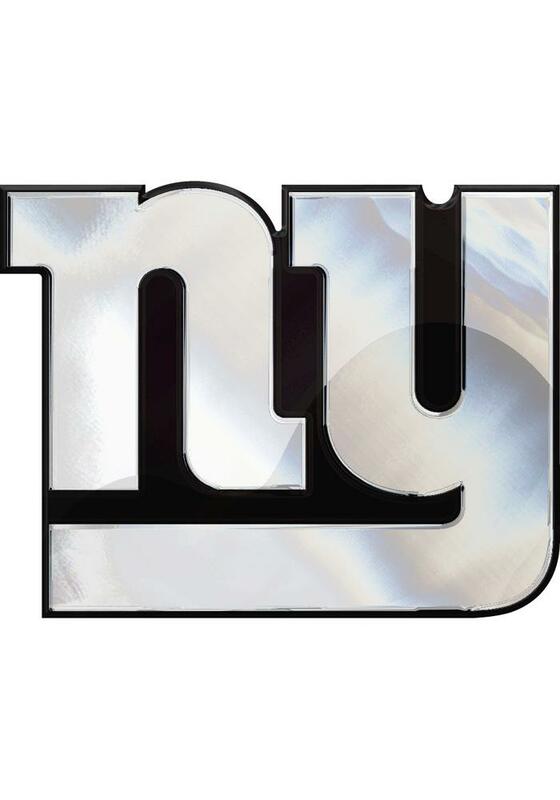 This New York Giants Car Emblem features a Giants logo in chrome. If you are looking for a high quality, subtle and classy way to show your school spirit this is it. I installed this on my truck a year ago and it still looks great. Car wash safe and easy to install. I love this addition to my car! It was a super easy process to apply and sticks and stays on great. Great quality. The silver looks so sleek and sharp and it's just the right size. Big enough to be noticeable, but not overwhelming.